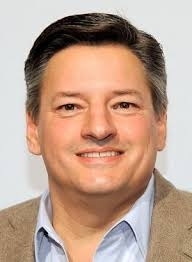 Netflix content chief Ted Sarandos says the company is planning an aggressive push into India. It is boosting local content and considering a price decrease but must do much more if it is to make a significant impression. He also said the company has more doubled its investment in licensing Indian content since the service launched in India at the beginning of 2016. He also suggested Netflix may cut its price to be more competitive. With just 5 million subscribers today, the company is far behind local competitors and Amazon in the market. Hotstar has 75 million customers, Voot has 22 million and Amazon 11 million. 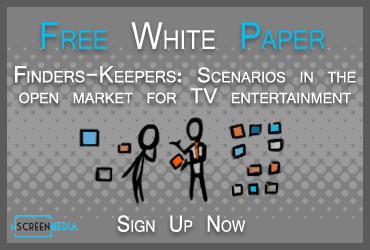 To be competitive, Netflix will have to cut prices sharply and dramatically increase content. Here are three things the company is to catch its bigger rivals. Today, Netflix’ value proposition isn’t right for most Indians. It costs Rs 500-800 a month ($7.7 to $12.35) while the typical pay TV subscription costs $5 a month. Worse, online competitors are dramatically cheaper than Netflix. Online video market leader Hotstar, owned by U.S.-based 21st Century Fox, was launched in 2015, just before Netflix launched its global player. The service costs Rs 199 a month ($3) and is available discounted at Rs 969 ($15.40) for a year. There are over 400 million mobile broadband subscribers in India, while only 23 million homes have a wired broadband subscription. Netflix has always focused on wired broadband delivery to a TV set as the primary way subscribers should enjoy the service. Following the same formula in India will limit it to a tiny proportion of the potential market. Netflix must optimize service for the majority of Indian’s preferred viewing method, on mobile. The company already has some of the tools it needs to provide a better mobile experience. The new download-to-go functionality should help customers cope with the variability of the mobile viewing experience. However, Netflix needs to optimize its streaming technology to work better with very low bandwidth connections. It also needs to license and create more content optimized for the mobile environment. To be sure, ten shows and six movies will ensure a steady flow of exclusive content for Netflix. Boosting the amount of locally licensed content is also a good start. However, it likely won’t help the company make much headway against local competitors. Hotstar’s parent, 21st Century Fox, has a portfolio of 58 TV channels in eight languages. It has tapped its extensive catalog of Indian shows and augmented it with hits from HBO including Game of Thrones and Westworld. Voot, owned by Viacom 18, combines local shows like India’s Next Top Model with versions of top shows from MTV, and Nick available in local languages like Hindi, Tamil, Bengali, Kannada, and others. Meanwhile, Indian’s feel cheated by Netflix because 93% of titles available in the US are not available in India. Netflix is planning an aggressive push into India. It is boosting production and licensing of local content and considering a price decrease. To begin to make headway against local competitors, it will need much more local content and a much lower price. As well, it will need to optimize the service for mobile consumption.